Sometimes even though you love your home it's time to move on, maybe you need to downsize now the kids have left home or upsize due to your growing family. 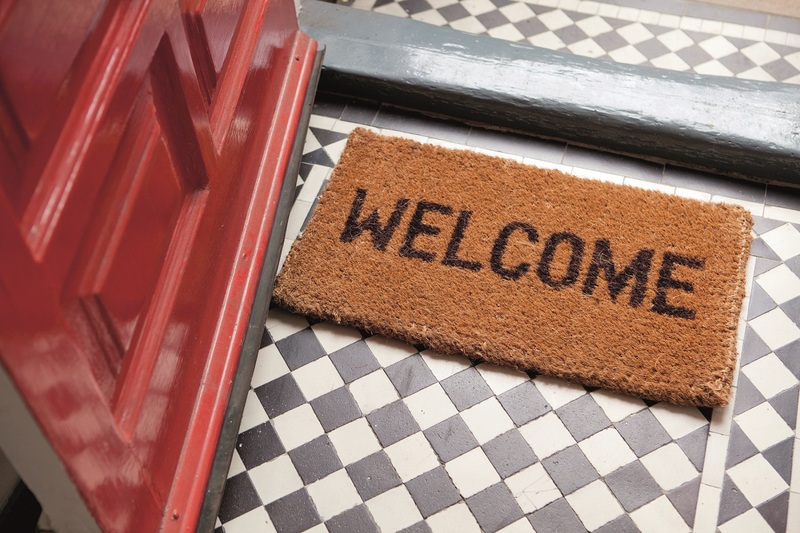 You might be attached to your home but whilst you're getting viewings, no one is making an offer. You could be thinking "what's wrong with my property?" and taking it a bit personally that people don't feel the way you did when you first saw it. One reason you're not receiving any offers could simply be that your property's personality and potential just isn't jumping out to viewers. People viewing your home may not see it as their dream home if the decor is dated, or it's too cluttered. These are simple things to fix and don't cost lots of money but will make a big difference to the look and feel of your property. One of the first thing viewers will see is your front door and the property exterior. With this in mind, make sure the door isn't looking shabby - a shiny doorknob, house number and some bright flowers outside can go a long way to give a good first impression. Make sure the condition of your house doesn't give the buyer a reason to negotiate on the price. Fix any cracks and leaks, paint over scratches, and get rid of any marks on the carpet. Accentuate your home's best features! If there is good natural lighting make sure the window sills are free from clutter and any blinds or curtains are open. Clean the windows so no marks or smears are visible when the sun shines through. Do a deep clean from top to bottom before you put your property on the market and try to keep it clean until it's sold. It may be worth getting a professional cleaner to give the house a once over for you. If you have wooden flooring, then let it shine. Give it a good clean and polish and don't cover floorboards up with rugs. On the other hand, if there are any marks you can't shift, you may want to place a rug to cover them up. Minimize furnishings to show more floor space and make the room look bigger. You'd be surprised at the number of buyers who will open your cupboards and wardrobes to have a nose at storage space. Have a clear out of your cupboards and keep things organised to help give the illusion of more space - ideally cupboards should only be 75% full. A cluttered home will always look smaller so have a purge and get rid of anything you don't need. File any paperwork, put the kids' toys in their proper places, and clear any surfaces. The hallway will be the first part of the interior that potential buyers see, so make sure it's clean and there's nothing people could trip over. A good way to create the illusion of a bigger space is to have two mirrors on either side of the hallway. You've probably heard'Home Staging' mentioned on those daytime property shows. Lay the table out with your finest tableware, put out fresh flowers, plump up pillows and cushions, and use plugin air fresheners to make the property smell nice. Paint and wallpaper can be a very personal preference and it can be hard for buyers to visualise themselves living in a property if the decor isn't to their taste. Repainting the property in a neutral palette allows buyers to see each room as a blank canvas and picture their furniture and possessions in place. A fresh coat of white paint on walls and ceilings also helps to create a bigger and brighter room. When you've lived in a home for a while there will be a lot of your personality in the property, from family photos to knick-knacks you've collected through the years. Taking your personality out of the space can help buyers to better imagine themselves in the property. Give any outside space a good tidy up - rake up any leaves in the garden, make sure not too many weeds are growing through, the grass has been trimmed, and if you have flowers make sure they haven't withered away. Buyers will like a low maintenance and well-kept garden. If you're selling towards the end of the year, it's a good idea to make the house feel warm and cosy as your buyers enter from the cold. Put the heating on ahead of viewings, so buyers feel comfortable as they look around and don't want to leave again! We hope these tips help you to impress any potential buyers viewing your home. If you have any questions on selling your property, feel free to give your local Parkers office a call. Copyright © 2019 Xperience Franchising Ltd.